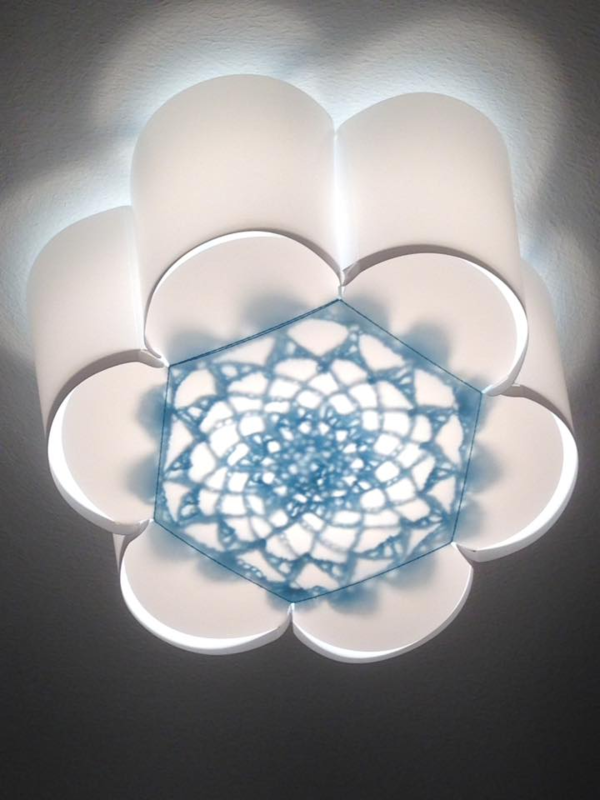 We got a couple of Ikea light fixtures that I thought could stand to be snazzier, so I tried my hand at making some doilies (sort of). I like the backlit effect, and I smile every time I turn one of these on. 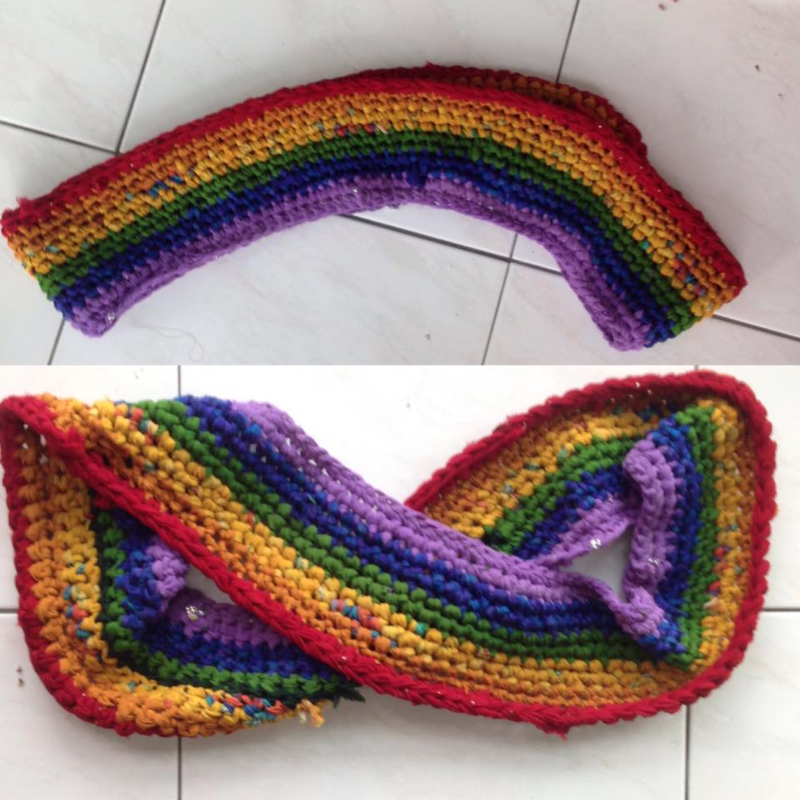 I designed this rainbow infinite scarf for a trip I took to Nepal in 2017. It’s a lot colder in Nepal than in Singapore, so I really had to bundle up! 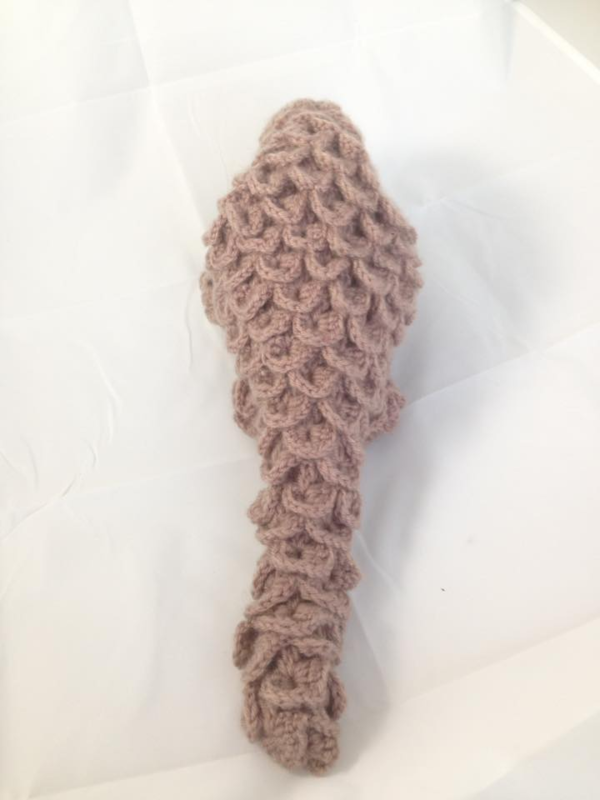 The yarn is from a great company called Darn Good Yarn that has lots of sustainable and ethical practices. 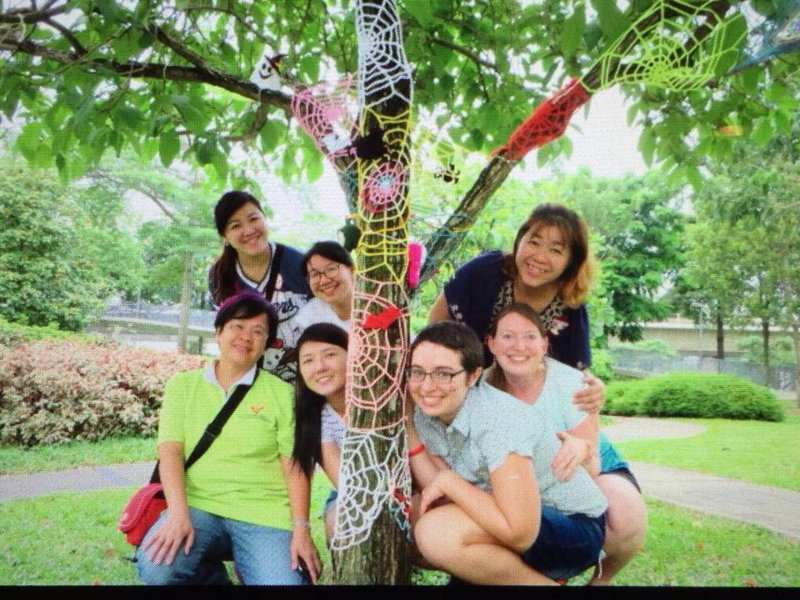 This yarn is made from waste saris that are cut into ribbons! It has some beautiful effects in it, like patterns and rhinestones from the original sari patterns. 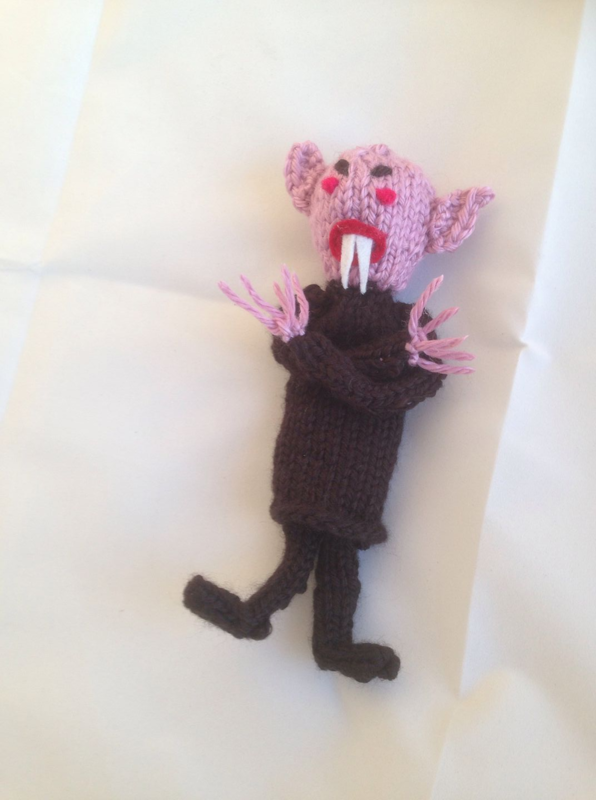 I made this scary li’l vampire for a friend. It was my first experiment with making a soft circuit, and I love how it turned out! The eyes light up when you squeeze his lil belly. The pattern is from the awesome book Knitmare on Elm Street. 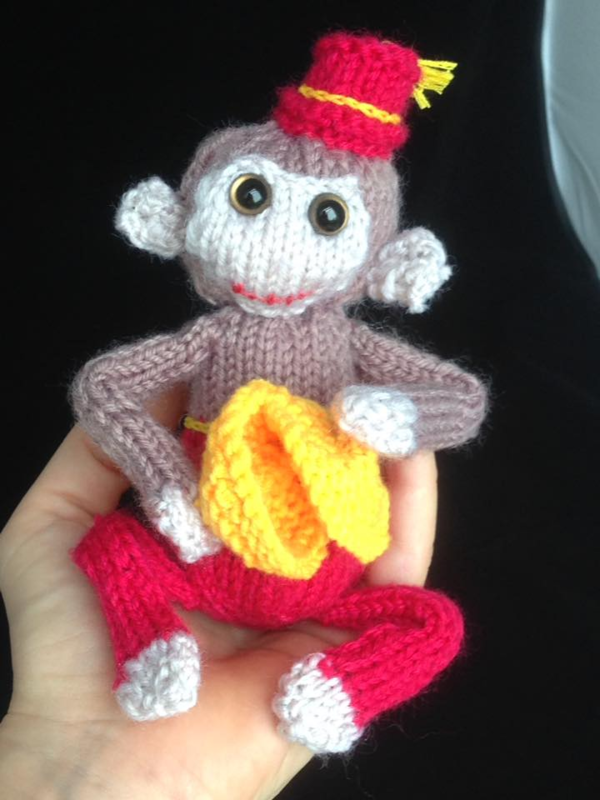 I also made this creepy organ grinder’s monkey from the same book. This one just sits on a rotating solar pedestal in my house. And grins maliciously at me. 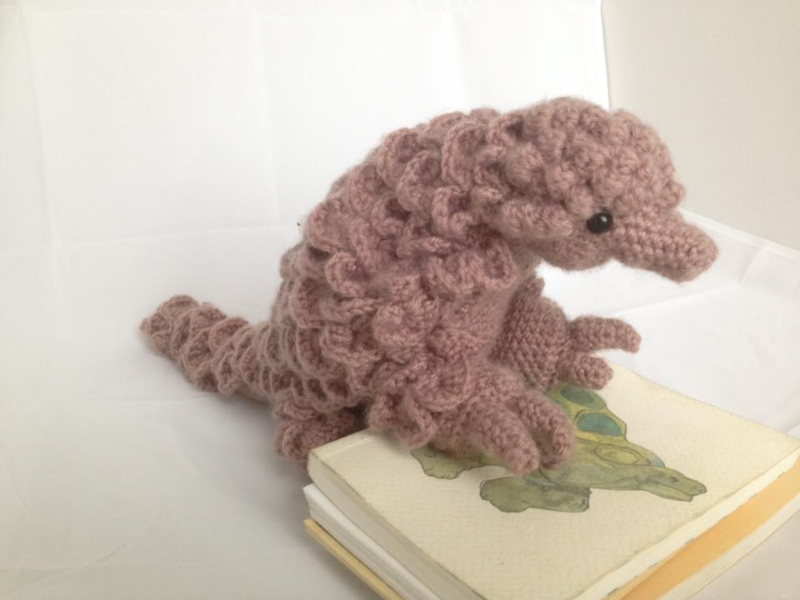 Do you love pangolins like I do? What wonderful, odd, terribly endangered creatures. 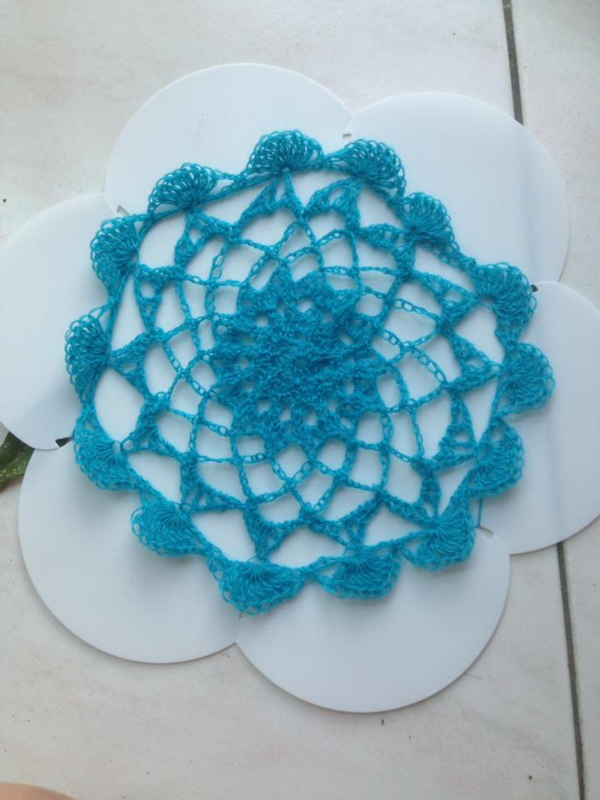 I put a LOT of work into executing this pattern, which I didn’t design. It was all worth it, because it was auctioned off for pangolin conservation at the Singapore Eco Film Fest. 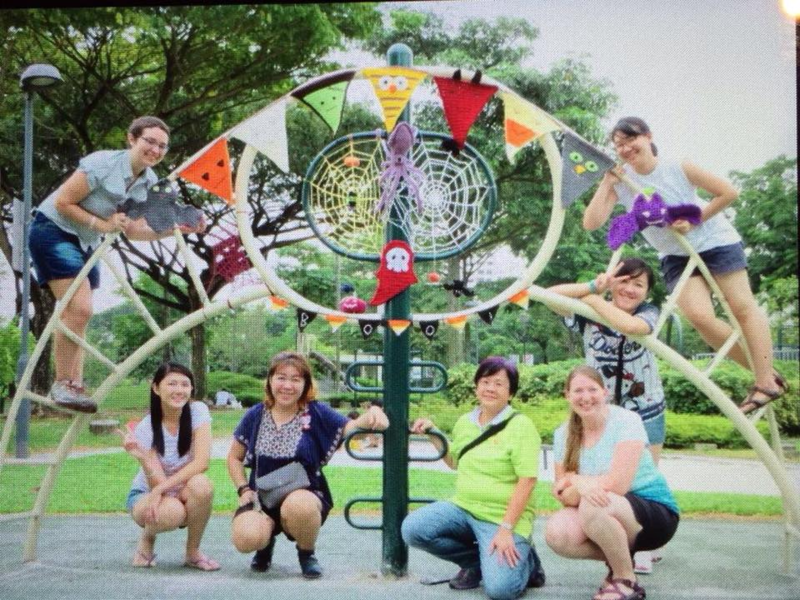 We raised more than $300 SGD! 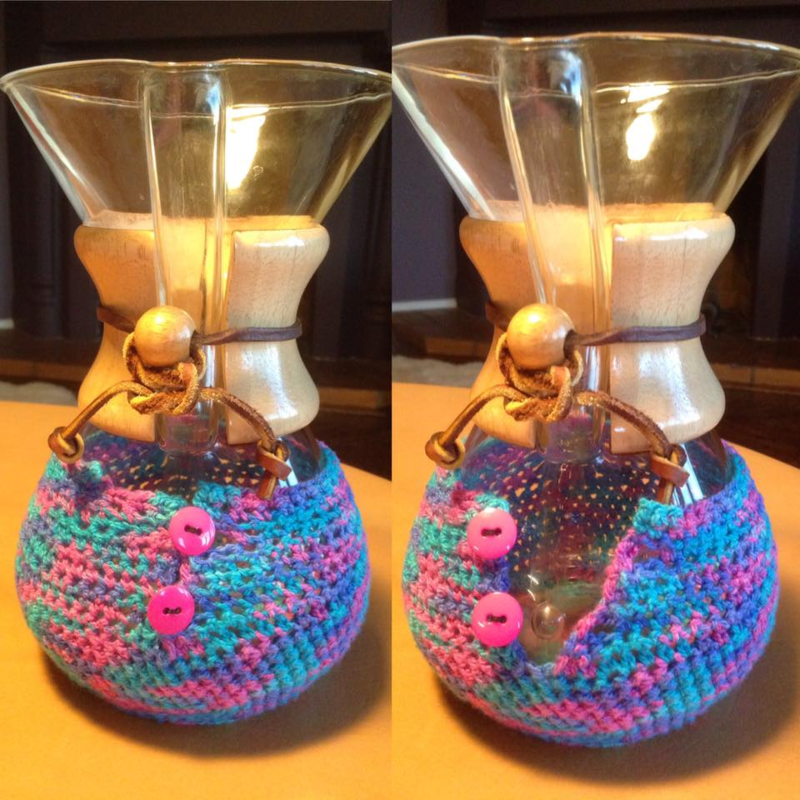 I had some extra yarn while crashing with a couple of hospitable friends, so I thought I’d whip them up a cozy for their Chemex coffee maker (which I thoroughly enjoyed throughout my visit). 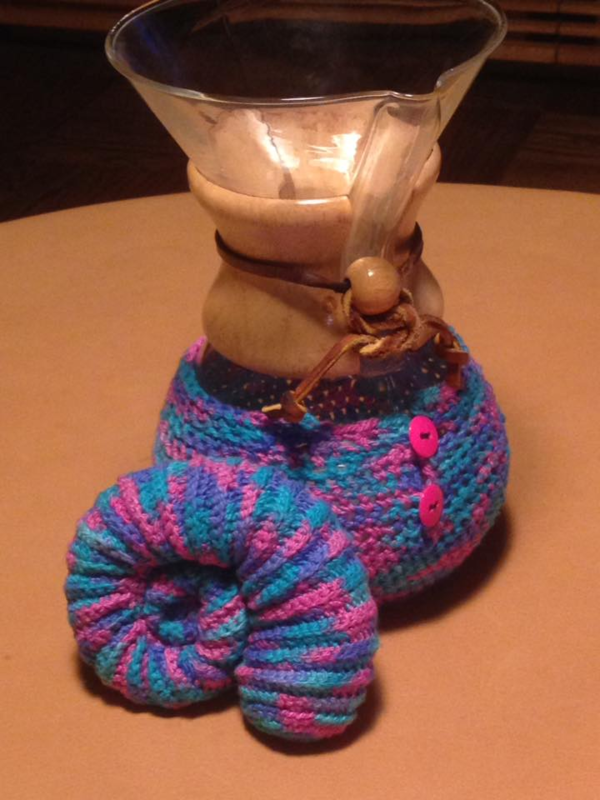 Also, I made an ammonite for reasons I cannot fully explain. Something something spirals something infinity something eternal recurrence? 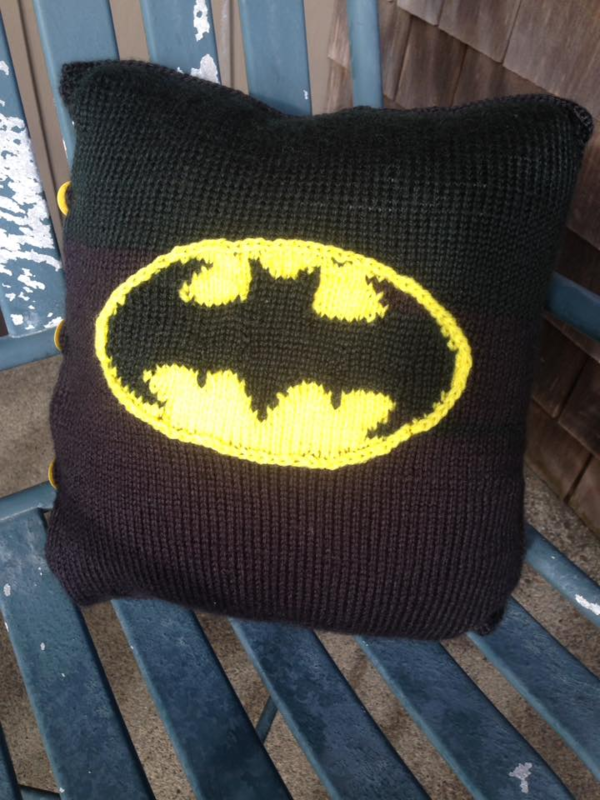 My sister and I were brainstorming for a gift idea for a friend, and we landed on making them a Batman-themed pillow. I don’t do a lot of colorwork, so this was kind of fun. 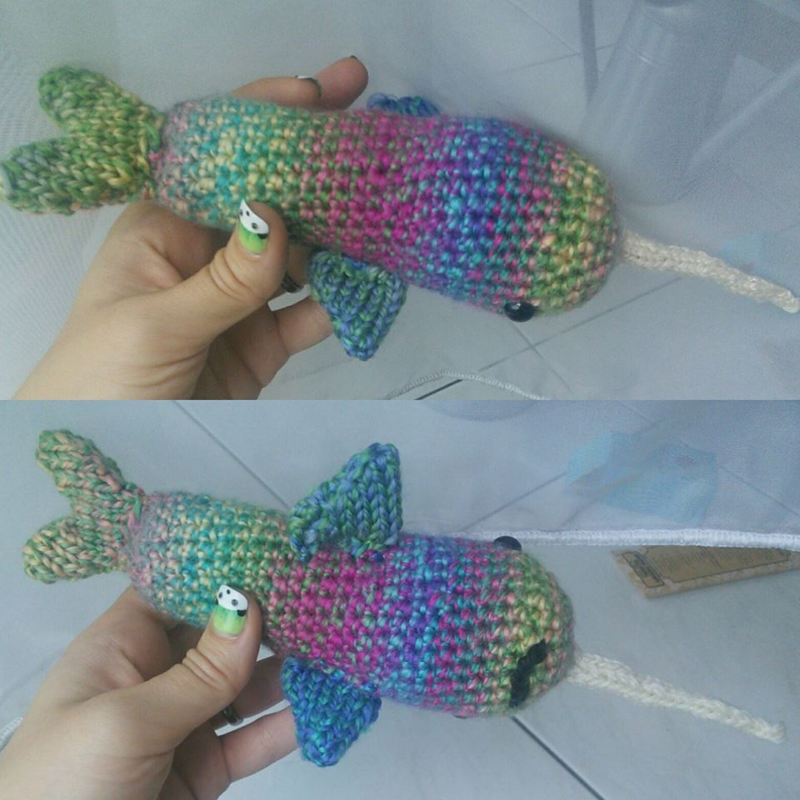 When a friend asked me for a psychedelic narwhal, I responded with a resounding “…OK?” Here’s how it turned out! Usually I consult patterns, but I just winged this one. 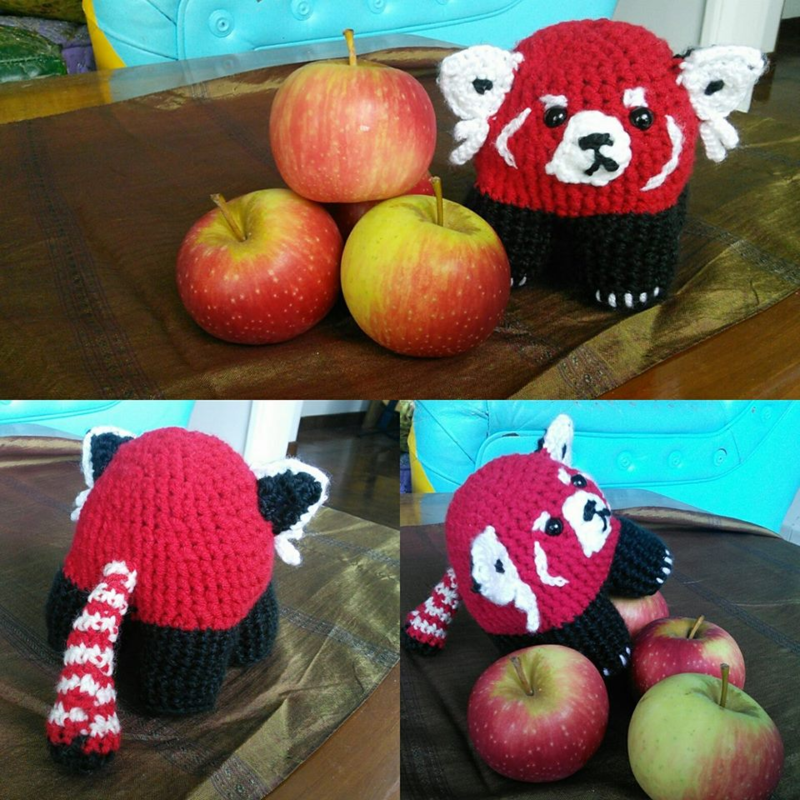 I adapted an existing animal pattern to create this apple-obsessed panda. 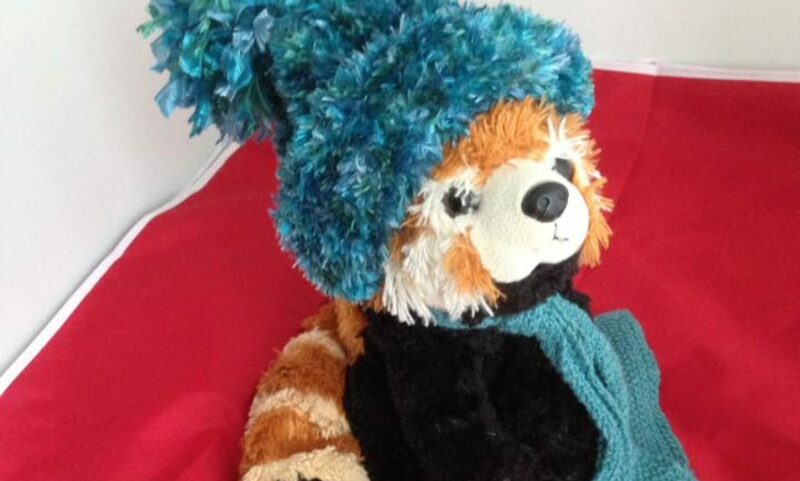 She’s named after an adorably sassy little panda at Maruyama Zoo in Sapporo. Shout out to all the wonderful Japanese pandas I stalk on Instagram! 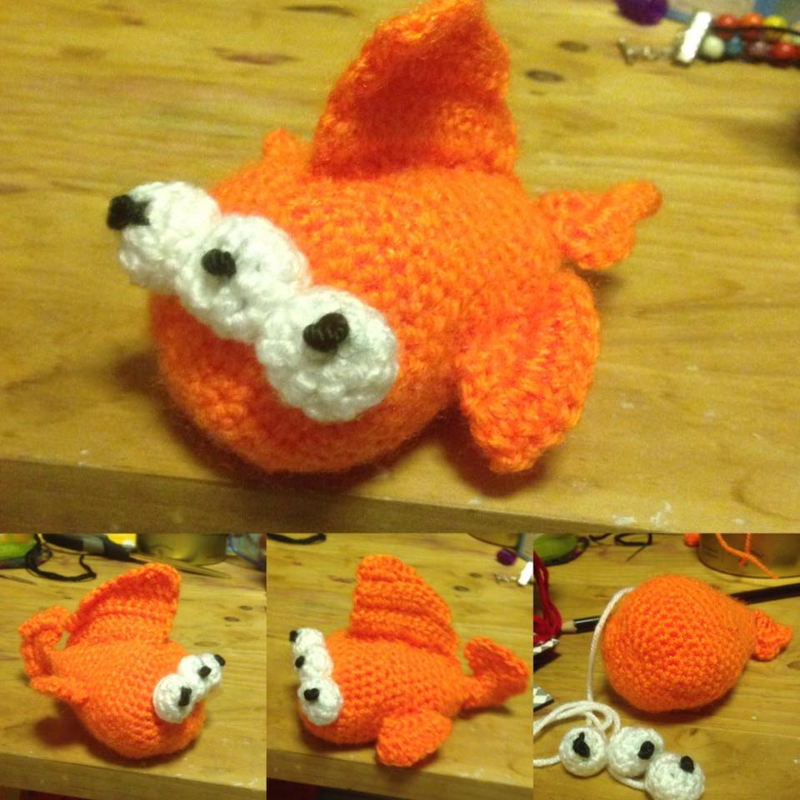 My dad had been asking me forever for an amigurumi version of Blinky from an early episode of the Simpsons. Once I made one for him, a couple more people wanted some. I can see why!